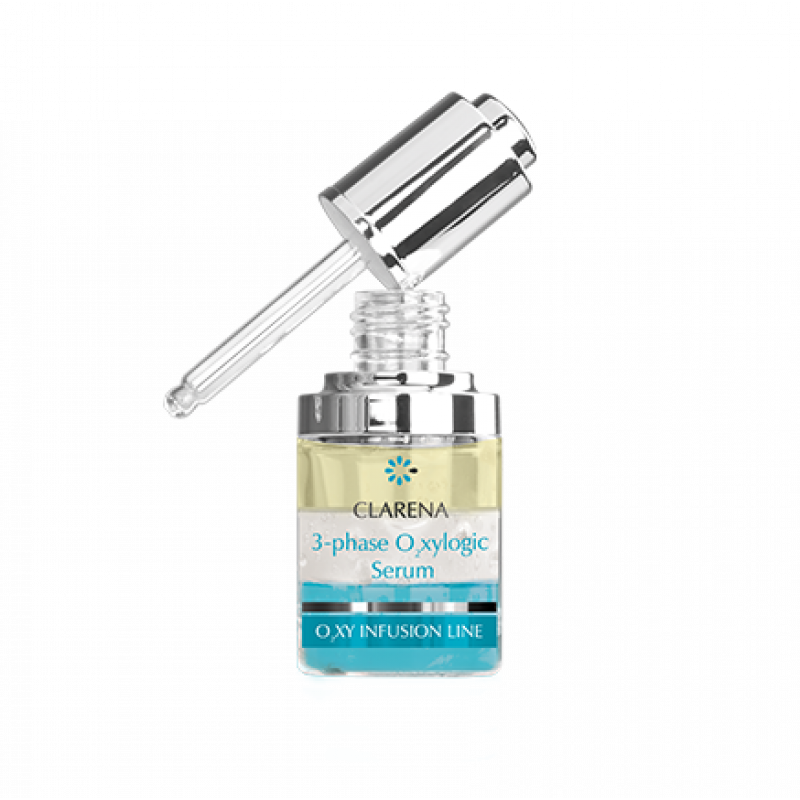 3-phase serum is a combination of ingredients with oxygenating, moisturizing and antioxidant properties. Especially recommended for gray, tired and stressed skin. SepitonicTM stimulates cellular respiration and increases the immediate availability of oxygen, thereby improving oxygenation of the skin. Pentavitin® have intense and long-lasting moisturizing properties, reduces dryness and irritation and vitamin E have anti-radical and moisturizing properties. By combining triple action of the active serum, skin acquire youthful glow and becomes soft and smooth. SepitonicTM - increases availability of oxygen, improves oxygenation of the skin. Metabolism and cells regeneration is improved. It is smoothing the skin, eliminating wrinkles and reducing the appearance of new wrinkles. It protects skin from harmful effects of free radicals action and glycation process – important factors that may speed up the process of ageing. Pentavitin® – correspond to the composition of natural carbohydrate complex of the stratum corneum, it has places which connects creatine, they are sticking into the skin cells. It creates a moisture storage, which is removed during exfoliation process. It reduces dryness and irritations. Vitamin E – it is neutralizing free radicals, preventing skin photo ageing, has anti-inflammatory and antiedematous properties. It inhibits the evaporation of water, increases skin moistening. It protects against adverse influence of external factors.